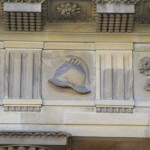 A significant part of Bath’s identity is the Bath stone, masonry and stone carving. In recognition of this Crest Nicholson is working with the Bath Stone Group and Bath City College Construction Skills centre (see Map) to offer anyone the opportunity to create a stone element that could be incorporated into the landscape of Bath Western Riverside. 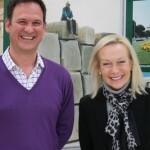 Bath Stone Group has generously agreed to sponsor the arts strategy with the provision of stone from their local mine. The landscaped walls are significant defining features of the development and consist of irregular stone. 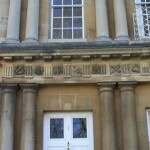 The random sense of the stonework will host artistic elements that delight, surprise and intrigue, thereby making a connection with historical Bath in a contemporary way. The stone elements will be practical, intimate and engaging and an opportunity for anyone to get a piece of work included into the fabric of Bath. This was first run in 2012 and will be run again in line with other phases of the build so if you want to have ago the criteria will be the same and is below. Anyone, any age, any level of skill, anyone. You can. Yes anyone. 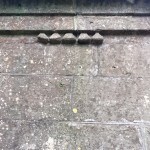 Bath stone rubble is being incorporated across the site and we are looking to introduce small, contemporary, carved pieces of stone that provide elements of surprise and discovery. We want these stone elements to connect with the industrial heritage of the location and the arts strategy theme. The Elements theme was inspired by the history of chemical production that arose on the Western Riverside site from the introduction of gas power to Bath; the sustainable concerns of Crest Nicholson for the environment; and the combination of architectural, landscape and art components. Elements embraces the industrial heritage, depth and the significance of the location. Elements reflects the varied characteristics and communities that contribute to the nature of Bath. The £10 will go to a community art fund that will assist with the provision of high quality visual arts for the Bath community. The £10 will help you decide whether you are serious about having a go. What size can my stone piece be? 100mm on bed, coursed in the following heights: 65m,90mm115mm,140mm and 215mm TBC by Bath Stone Group. We will not accept work larger than 215mm. Please bear in mind the more substantial the block the more prominent the work could potentially be and because of this the selection panel will have to give extra consideration as to whether the work warrants inclusion and where it might possibly be located. If you are confident of your ideas and ability to produce work that will win over the selection panel then by all means go for the bigger pieces. The smaller pieces have the potential to be discreet, delightful, discoverable works that could be introduced into surprising places. Can I do more than one? Yes, you can pay for and submit a maximum of 3 pieces. Do I have to carve it? No you can create a design and get someone else to carve it or think of something creative to do with the stone that fits the elements theme and will impress the panel. The deadlines – How long have I got? To be confirmed but is likely to be in 2014. 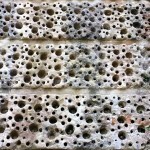 How do I submit my stonework? You must deliver the piece to the Elements arts space situated opposite the Crest Nicholson site entrance. The work must be clearly labelled using the submission form with your name, address, telephone number and email address. Please note that we will not be returning works that are not selected for inclusion into Bath Riverside. All works that are not collected will be offered to B&NES council for them to use in other locations. Any works that are left following this selection will be disposed off. The work must be suitably protected and is delivered at your own risk. Crest Nicholson and its representatives will take every care to look after the works but do not accept and liability for loss or damage.